1. What is the main purpose(s) of Layer 2? Answer: The data link layer defines addressing specific to a particular medium as part of the means of providing delivery of data across that medium. It also includes the protocols used to determine what device(s) accesses the media at any point in time. 2. What is the main purpose(s) of Layer 1? Answer: Layer 1 (the physical layer) is responsible for encoding energy signals onto the medium and interpreting a received energy signal. Layer 1 also defines the connector and cabling details. 3. What does MAC stand for? Answer: MAC stands for Media Access Control. 4. Name three terms popularly used as a synonym for MAC address. Answer: NIC address, card address, LAN address, hardware address, Ethernet address, Token Ring address, FDDI address, and burned-in address are all synonymous with MAC address. All of these names are used casually and in formal documents, and they refer to the same 6-byte MAC address concept as defined by IEEE. 5. What portion of a MAC address encodes an identifier representing the manufacturer of the card? Answer: The first 3 bytes, called the Organizationally Unique Identified (OUI), comprise the portion of a MAC address that encodes an identifier representing the manufacturer of the card. 6. Are MAC addresses defined by a Layer 2 or Layer 3 protocol? Answer: MAC addresses are defined by a Layer 2 protocol. Ethernet and Token Ring MAC addresses are defined in the 802.3 and 802.5 specifications. 7. How many bits are present in a MAC address? Answer: MAC addresses have 48 bits. The first 24 bits for burned-in addresses represent a code that identifies the manufacturer. 8. Name the two main parts of a MAC address. Which part identifies which "group" this address is a member of? Answer: There are no parts, and nothing defines a grouping concept in a MAC address. This is a trick question. Although you might have guessed that the MAC address has two parts—the first part dictated to the manufacturer, and the second part made up by the manufacturer—there is no grouping concept. 9. What OSI layer typically encapsulates using both a header and a trailer? Answer: The data link layer typically encapsulates using both a header and a trailer. The trailer typically includes a frame check sequence (FCS), which is used to perform error detection. 10. If a Fast Ethernet NIC currently is receiving a frame, can it begin sending a frame? Answer: Yes, if the NIC is operating in full-duplex mode. 11. What are the two key differences between a 10-Mbps NIC and a 10/100 NIC? Answer: The obvious benefit is that the 10/100 NIC can run at 100 Mbps. The other benefit is that 10/100 NICs can autonegotiate both speed and duplex between itself and the device that it is cabled to, typically a LAN switch. 12. What is the distance limitation of a single cable for 10BASE-T? For 100 BASE-TX? Answer: 10BASE-T allows 100 m between the device and the hub or switch, as does 100 BASE-TX. 13. How fast is Fast Ethernet? Answer: 100 million bits per second (100 Mbps). 14. How many bytes long is a MAC address? Answer: 6 bytes long, or 48 bits. 15. 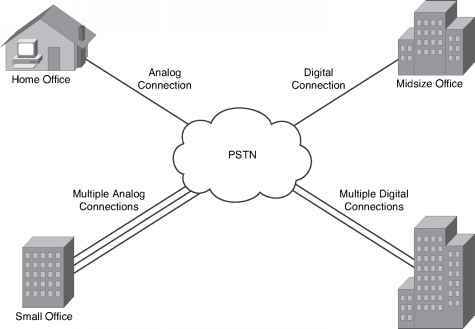 Define the difference between broadcast and multicast MAC addresses. Answer: Both identify more than one device on the LAN. Broadcast always implies all devices on the LAN, whereas multicast implies some subset of all devices. Multicast is not allowed on Token Ring; broadcast is allowed on all LAN types. Devices that intend to receive frames addressed to a particular multicast address must be aware of the particular multicast address(es) that they should process. These addresses are dependent on the applications used. Read RFC 1112, "The Internet Group Message Protocol (IGMP)," for related information about the use of Ethernet multicast in conjunction with IP multicast. For example, the broadcast address is FFFF.FFFF.FFFF, and one sample multicast address is 0100.5e00.0001. 16. Explain the function of the loopback and collision-detection features of an Ethernet NIC in relation to half-duplex and full-duplex operations. Answer: The loopback feature copies the transmitted frame back onto the receive pin on the NIC interface. The collision-detection logic compares the received frame to the transmitted frame during transmission; if the signals do not match, a collision is occurring. With full-duplex operation, collisions cannot occur, so the loopback and collision-detection features are purposefully disabled, and concurrent transmission and reception is allowed.